A few technical details on how I’m implementing global load balancing to improve the availability of Machine Learning for Kids. This wasn’t a great week for Machine Learning for Kids. I think the site was unavailable for a couple of days in total this week, spread across a few outages – the worst one lasting over twelve hours. I know I’ve lost some users as a result – a few teachers / coding group leaders did email me to say (not at all unreasonably) that they can’t use a tool that they can’t rely on. I wrote in my last post that I would be making changes to prevent this sort of thing from happening again. Now that I’ve done it, I thought it’d be good to share a few details on how I did it. This is a recording of a talk I did at DevoxxUK last week. Devoxx is a community developer event, run in London. 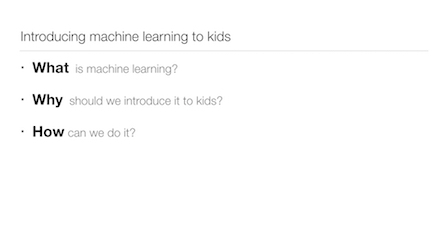 I had 50 minutes to talk about what I’m doing with Machine Learning for Kids. 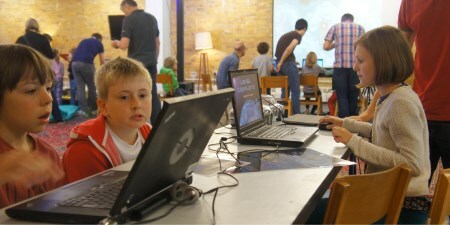 Groups like Code Club, CoderDojo, Code.org and many others are doing amazing work in helping to introduce kids to coding. Initiatives like Hour of Code have highlighted how those of us in tech can help to support and inspire the next generation of developers. How can we extend this to include artificial intelligence and machine learning? How can we use the cloud-based machine learning APIs that are increasingly available to us as developers to extend the tools used to teach kids about coding? In this session, I’ll share the work I’ve been doing to introduce machine learning to kids, and demo the resources that are available to give kids hands-on experiences at training and using machine learning models for themselves. If you’re familiar with AI and ML technologies, this session will hopefully enable you to share your expertise with local schools, colleges and coding groups. If you’re not as familiar with ML, this session will show you how quick and simple cloud-based machine learning APIs are today, and perhaps inspire you to use them in your next project. I write a lot about what I’m doing with machine learning for kids, but in this post, I want to share a little about how I ended up doing it and why. I tend to write about *what* I’ve done. I rarely write how things happened though, or what made me do them. I just assume that people would be less interested in that. But, if I think about what I find interesting, it tends to be the backstory to projects. To use Nick as an example, I’ve seen him give loads of talks about Node-RED. And I’ve enjoyed the ones where he talks about how Node-RED happened more than where he gives demos of what Node-RED is. Inspired by that, I thought I should at least try to capture a few breadcrumbs for how I ended up where I am now with machinelearningforkids.co.uk. Today, I was helping out with a Computing summer school for teachers in London. As part of this, I gave a presentation about machine learning to a room full of school teachers – about what it is, why I think we should be introducing it in the classroom, and how I think we could do that. My slides are on Slideshare, but they might not make a lot of sense by themselves, so I’ll jot down here roughly what I said. This morning I want to talk to you about machine learning. In particular, I want to talk with you about machine learning in the context of education and how it could be introduced in the classroom. I’m going to try and cover three main points. 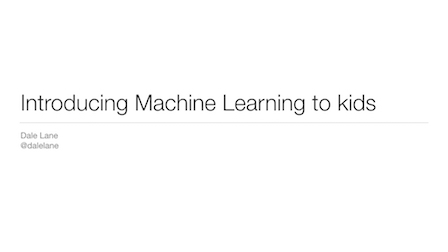 Firstly, a quick level set on what I mean by machine learning. Then I’d like to talk about why I believe it’s important that we do this. Finally, I want to talk about the practicalities of how we could effectively introduce machine learning in an accessible way. STEMtech is a conference about the education of science, technology, engineering and maths. The attendees are an interesting mix of people from education and policy makers, as well as people like me from industry. This year, they invited me to do a talk. My slides are shared but they’ll make no sense by themselves. What follows is roughly what I think I said. This week I went up to Newcastle for Thinking Digital. It was the seventh Thinking Digital, but my first. I’d seen a bunch of references to it being the UK’s answer to TED, the tickets aren’t cheap, videos from previous years look slick and professional, it’s held in The Sage which is a hugely impressive venue, they manage to get a great line-up of speakers, and the logistics in the run-up to the event were more organised than any event I’ve been to before. So… I was expecting a cool and geeky, if faceless, serious, formal, and intimidating event. I’d read it completely wrong. It’s absolutely a professionally run event. And there was no shortage of cool geekiness. But, more than that, the organizer, Herb Kim, has created a real sense of community in it. There’s a feeling of almost familial warmth amongst attendees who come year after year after year. I don’t like the Fitbit One‘s belt clip as much as the Ultra‘s belt holster. It’s stronger, and less likely to snap (which is what happened to my Ultra and why I ended up having to get the One). But it’s not as effective. It’s hard to attach it to many of my clothes, which was never the case with the Ultra. And it falls off. This isn’t the first time it’s fallen off, although it’s the first time it’s happened without me noticing. Design-wise, I think it needs reconsidering. We’d been out for hours. I had no idea when it had gone missing. But the Fitbit app on my Nexus 4 background syncs with my Fitbit. I checked my phone. Last synced: 40 minutes ago. That was a big clue. I knew where we’d been and could retrace my steps. Knowing how fast we’d been going and that my phone had last seen the Fitbit 40 minutes before gave me a rough idea of where it might be. But Fitbit, if your app stored a location with each sync, and could show me a map, that would’ve been so much better! I guess you need to think about the battery implications for my phone, but even a rough large-radius location estimate would’ve been appreciated. When I tried to manually get the app to sync with the Fitbit, it threw a “Tracker not found” error. I retraced my steps, repeatedly hitting the sync button. My idea was that once I was within Bluetooth range (What is Bluetooth’s range outside? A dozen metres?) my phone would sync, and I’d know I was close.